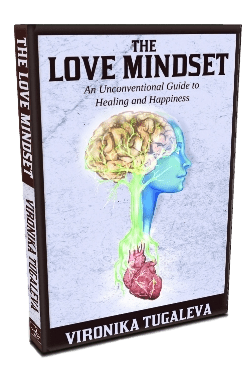 A short while back, Vidya Sury, mentioned that she was reviewing a book called ‘The Love Mindset‘ and gave me a link to the author’s website. I looked at website and was fascinated by the premise of the book and there was just something about the author’s serene face that made me want to read this book. So I shot off a message to Vironika Tugaleva and asked her if I could review the book too. She very kindly agreed and sent me a copy of the book. I am of the opinion that ever so often a book comes my way that radically changes the way I think or feel about things. It is my belief that the Universe brings these to me as ‘teachers’. ‘The Love Mindset‘ is certainly a book of this kind – radical, challenging and life-changing. First let me tell you something about Vironika Tugaleva. 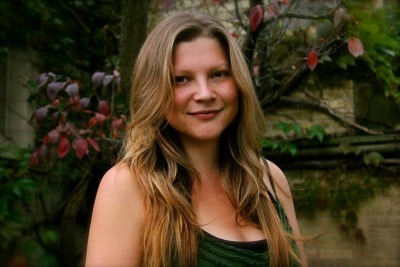 Vironika is an author, speaker, people lover, reformed cynic, and a different kind of spiritual teacher. She helps people heal their minds and discover their inner strength. Now to talk about The Love Mindset and what I think of it. There is just something about the simplicity of Vironika’s writing style that makes her words resonate deep within. Also, she’s is not afraid to be open with her own experience and her views on current practices that label various illnesses. Her radical idea is that we change our mindset to see a lot of our problems with depression and addictions etc are not genetic but a deep cry of the body to show the individual’s need for and deprivation of love. What a powerful concept – and one that I am inclined to believe. According to Vironika, there is no scarcity of love – on the contrary there is an abundance of it. However, given that we’re are consumers and addicts, we operate in scarcity mode. The author goes on the show how various world religions tend to be either of the heart or of the mind. She suggests that we need to reach unity between heart and mind to truly experience love. Sharing from her personal journey of trying to find love outside herself, Vironika gently challenges the whole idea of the self-love movement and the importance of soul mates. This is where is really got interesting for me. Having learning the importance of loving myself, I was surprised to read this from Vironika. However, when I went deeper into this, I realized that she was not challenging self-love, but rather the fact that we are told to ‘love ourselves’ but not told anything beyond that. This might sometimes lead to people believing that the is a ‘fixed, unique destiny’ – you ‘find’ yourself and you ‘find your soul-mate’. Within, you hold a tiny piece of eternity, a fraction of life, a mirror of the universe. You are pure potential…Potential is boundless. The author goes on to talk about the greatest barrier to love is most often our own constructed ‘self’. This is something I can absolutely identify with from my own experience. I could go on and on, but suffice to say that The Love Mindset is a book I will be re-reading in order to allow the truths that Vironika has shared to become more a part of my own mindset. Vironika’s authenticity shines through her writing and the deep truths she shares are truly amazing! Do read more about Vironika and her inspiring book The Love Mindset. Connect with Vironika on Facebook too. Click on the picture for the Amazon link. I have to read this book! Thank you for the review Corinne. I like the idea of self-discovery, Vironika’s personal journey towards self love and her powerful message that we are reflections of the universe. And it sounds like she hit the nail on the head by talking about the ego and how it limits our ability to love ourselves and others. I’ve had quite a journey with self love this past year. It all changed for me with a shift in perspective and also a profound shift and acknowledgment of divinity. What a great review! I love the idea that love should not be restricted to loving oneself or loving a soul mate, but rather that love is a much larger force than we often give it credit for; directing it inwards only limits its potential. The idea that each person holds “a tiny piece of eternity” within themselves rings true, and is a powerful reminder of our interconnectedness as well as a call for love and compassion in the world. Thank you for this opportunity for to readjust my own mindset! Great review Corinne. I also firmly believe that we live in an ever abundant universe of love, that our thoughts have power individually and collectively and that we are all universally and divinely connected. Thank you for this review of the book. It sounds like it contains lots of helpful and beneficial information for us all. Interesting concept for a book, with an in-depth and thoughtful review. Definitely gives one pause, to consider the importance of love and how it affects us. Corinne – stopping by pre A to Z Challenge to say hello. Thanks for sharing your review of The Love Mindset. Nice blog! Good review. I think when I learned my true value in Christ, I began to accept myself in a new and healthier way. It helps me relate to others in a more loving compassionate way, too. That’s a great thought! 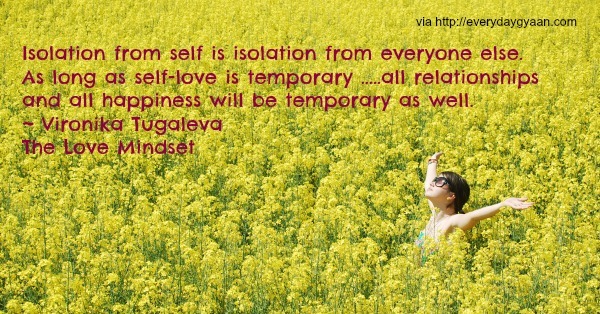 How the barrier to love is the our own constructed self… Sounds good…will try getting a copy! I read the book again…and it felt as good as the first time!